Students who walk, roll, or take other forms of active transportation to and from school experience many benefits. According to the Active & Safe Routes to School guide for parents, an active school commute helps students meet the recommended guidelines for physical activity, improves their health, happiness and well-being, and contributes to their academic performance by making them “more alert and ready to learn”. To skip down to the tips - Click Here. What’s more, walking or wheeling to school provides students and their caregivers with opportunities to connect with their community, impacts the environment by reducing traffic congestion and air pollution, and can be more cost-effective than driving over the long-term. Check out this tool to learn customized information on the benefits of active transportation for your route. 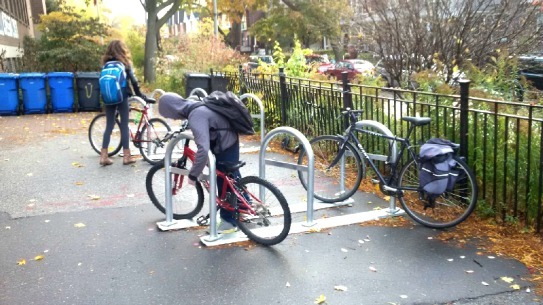 Despite the benefits, there are still plenty of reasons why students are not using an active form of transportation for their commute. In the Healthy Futures: 2014 Toronto Public Health Student Survey, commonly reported reasons by students for not using an active mode of transportation to travel to and from: the distance is deemed too far, routes are perceived as unsafe or they are not motivated to use an active mode of transportation because a ride is offered to them. 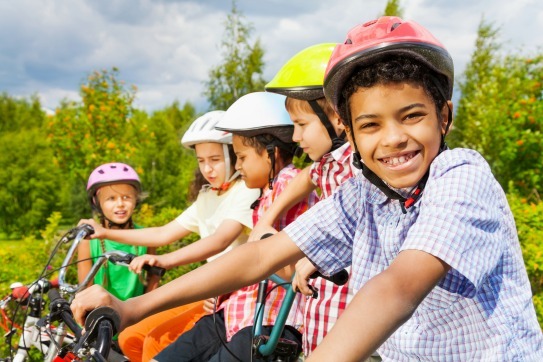 As a parent, teacher or a caregiver you can play a role in encouraging kids to get active on their commutes by promoting practices that are fun, safe and accessible. Whether you encourage walking or wheeling for health, environment, or teaching/learning benefits, the active transportation practices that the kids in your life learn now are sure to be an asset to them long into the future.